Organised labour, comprising the Nigeria Labour Congress (NLC), Trade Union Congress (TUC) and United Labour Congress (ULC) yesterday resolved to resume its nationwide strike, November 6, if the federal government fails to agree on the N30,000 minimum wage. 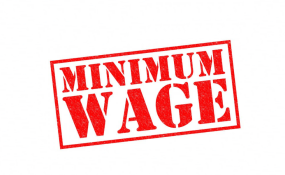 The organised labour argued that it is not true that they proposed N30,000 as the new national minimum wage, stressing that labour only accepted N30,000 as a compromise to demonstrate the willingness of Nigerian workers to make sacrifices towards nation building. The Labour leaders said there was a document signaling this agreement that had already been signed by some parties. They said workers will not accept anything to the contrary, adding that besides, the committee has agreed on the figure during its last sitting. The statement reads partly, "As far as Nigerian workers are concerned and as represented by us, we shall no longer negotiate on a figure for the new minimum wage having reached an agreement on this during the last sitting of the tripartite committee. "We cannot continue discussing a figure that has already been agreed procedurally within the Committee. What we are waiting for is for the federal Government to immediately set in motion the necessary machinery for turning the agreement into a Bill for onward submission to the NASS where we expect the Presidency to work together with the Legislators to make it a law so that it can be implemented quickly." Labour said Nigerians should not forget the promises made by the Government while pledging to return to the negotiation table leading to the suspension of the strike action, regretting that the road to a new minimum wage has been difficulty and tortuous. Labour posited that the attempt by the feseral government to implement the no-work, no-pay policy is targeted to intimidate and cow the trade union movement and its leadership in the country all in a bid to subjugate the will of Nigerian workers over the national minimum wage. The statement reads furthers, "Imagine Governors forum that has 6 representatives in the tripartite committee jumping in to make excuses after its representatives had made their submissions in the committee! We shall consider any Governor saying that he is unable to pay as unpatriotic and, an enemy of Nigerian workers and masses. We shall vote them out in 2019. "If nothing is responsibly done by the federal government to meet our demands, on Monday, the 6th day of November, we shall embark on a nation-wide strike to compel this government to show more sensitivity to the plight of Nigerians and the suffering that is decimating our people on daily basis."